Male Brown Pelicans become very colorful for the spring breeding season. 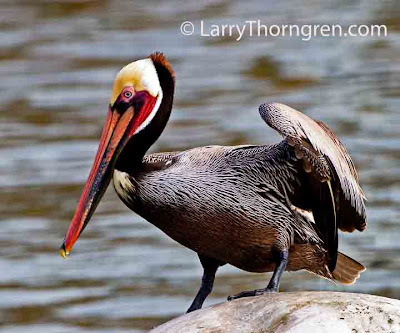 Brown Pelicans on the Pacific coast are more colorful than their Atlantic cousins. I took this photo north of San Diego, California.